Like with any important purchase that you make, buying tyres shouldn’t be done without serious consideration. There are numerous types and styles of tyre on the market, all of which are built for different styles of driving and different conditions. To ensure that you find the set of tyres that fits you, Auto Exhausts & Tyres will be detailing some important considerations when buying new tyres for your vehicle. In the UK, the chances are you will be able to get away with all-weather tyres all year round. However, for particularly harsh winters, or for countries which experience consistently extreme temperatures, then it is best to opt for tyres that are specifically suited for those environments. While winter tyres have a surer grip on the road in the snow, summer tyres will be able to withstand extremely hot tarmac. One of the reasons that your choice of tyres is so important is that it directly affects the way your car handles on the road. This is why it is so important to choose your tyres based on the vehicle that you intend to fit them on. For example, if you drive a people carrier, you will need different tyres than if you drove, say, a Porsche. If you are confused about which tyres would be worth investing in for your vehicle, consult the friendly team here at Auto Exhausts & Tyres, we’re always happy to help. Just as the type of vehicle you own affects which tyres you will need, so does the way you choose to drive it. For example, if you like to drive your car at the speed limits and test its handling and braking, you will be better off with high performance tyres which are more durable. However, if you consider yourself a more casual driver, this isn’t something you will have to worry about. Arguably your key consideration when buying a new tyres should be your budget. While budget tyres may not compare to their high performance counterparts, there are some excellent brands which offer a great product for a reasonable price. It’s worth noting, however, that budget tyres, while cost effective, will not last as long as higher quality premium tyres. Ultimately, how long your budget tyres last will depend on the way you drive, so if you have to opt for budget tyres, make sure that you take extra care not to burn through them! Auto Exhausts & Tyres offer a wide selection of high quality tyres from popular brands with an expert team ready to fit them – you needn’t look elsewhere. What’s more, we have a team of skilled, professional mechanics who carry out high quality servicing, MOTs and repairs. 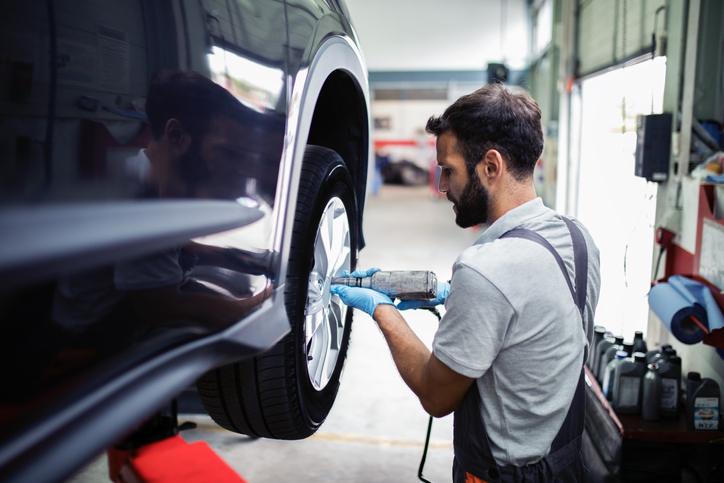 Whether your vehicle needs a routine checkup or a new part fitted, our experts are happy to help. Our team offer a friendly, trustworthy and comprehensive service at competitive prices for clients in Lincoln and the surrounding areas. For more information, advice, or to book in your car, get in touch with our team today.